Bukalapak Community recently held an event where about 200 small and medium entrepreneurs in Palu, Central Sulawesi, could learn about how to take good pictures, write enticing introductions for their businesses and promote their wares. The event in July, called Learning to Sell with Community, also taught participants how to make their customers happy. In cooperation with state lender BNI and courier service JNE, e-commerce platform Bukalapak plans to hold such events in 20 cities this year. Muhammad Fikri, head of community management at Bukalapak, said participants showed great enthusiasm about becoming online entrepreneurs. Fikri said some of the participants and sellers in Palu were beginners, hence the training. The event was in line with Bukalapak's mission to develop small and medium entrepreneurs in Indonesia as Bukalapak Community itself has spread in 100 cities. Bukalapak has about 3 million sellers using its platform. 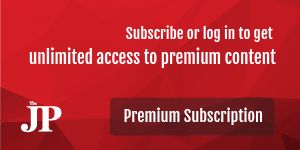 The total users of the marketplace stands at 50 million users and daily transactions at 500,000. With a valuation of more than US$1 billion, Bukalapak falls into the category of a unicorn along with Go-Jek, Tokopedia and Traveloka. Essential in online shops is the ability to take a good picture of a product as well as writing a good description. One of the successful entrepreneurs in Palu was Susi Susanti, who sells fried shallots on Bukalapak. The capital of Central Sulawesi has a place called Palu Valley, where a particular type of shallot grows. The plant is called “rock shallot” because it grows among rocks. The locals claim that if the seed of the rock shallot is planted in any other place outside Palu, the flavor is not the same. The rock shallot is round, smaller and harder compared to regular shallots. Chopped thinly and fried, the shallot has become Palu’s signature delicacy; tourists who visit Palu will bring home fried shallots as souvenirs for friends and relatives. Many bricks-and-mortar shops sell fried shallots, thus for Susi the competition has been tough. She opened a kiosk in Palu, Palu Souvenir Kiosk Nirwana, to sell her mother’s fried shallots. But the sales were disappointing because visitors preferred to go to more famous shops like Mbok Sri and Sri Rejeki Salhan. She tried online selling, first on social media like Instagram and Facebook, but her sales did not increase significantly although she got buyers from as far as Depok in West Java. Susi, 28, saw that buyers outside Palu presented a good opportunity for selling online. In 2016 she and her friend opened an online shop to sell her fried shallots, called Bawang Goreng Nirwana or Nirwana Fried Shallots. She was surprised to find that her first customer was someone from Papua. The price of her product was Rp 35,000 (US2.40) per 100 grams but the delivery cost the buyer Rp 85,000 at the very least. “It motivated me more, because apparently buyers do not fuss much about the price and the delivery cost,” she said. She later diversified her products, selling dried anchovies called penja or duo, chilli paste with ballyhoo fish and garlic chips. “I sell penja duo to buyers from Palu who live outside Palu and want a taste of home,” she said. 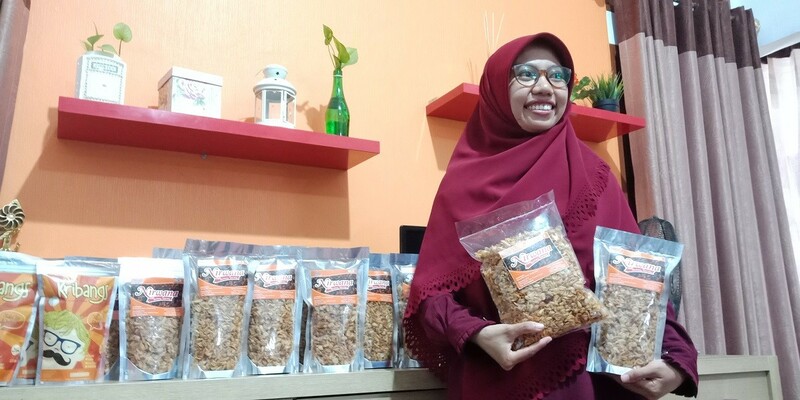 In her online shop, she says that her products have passed the test from the local health agency and are recommended as halal by the Indonesian Ulema Council. “Palu’s shallots are different because they contain less water so are crunchy when fried,” she says. She also provides information about the delivery time of her products. “Open from Monday to Saturday. If your verified purchase is recorded before 9 a.m., I will send the products on the same day,” she wrote. On the training day last month, Bukalapak Community also provided classes on service excellence and customer satisfaction. After about two years, she has got buyers from Greater Jakarta, Bandung, Surabaya, Kalimantan, Papua, Maluku and North Maluku. “However, most sales come from Greater Jakarta,” she said. When she opened her kiosk, she sold on average 10 packs of 100 g of fried shallots per month. Now, after she opened her online shop, she can sell up to 100 packs of fried shallots per month.